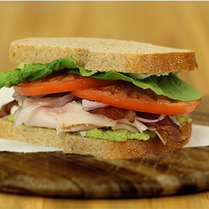 Freshly made sandwiches and salads are now available at both our Burke and Lorton stores! 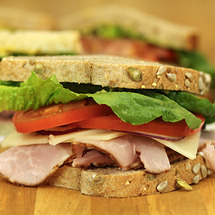 Bring Fresh Great Harvest Sandwiches to your next event! 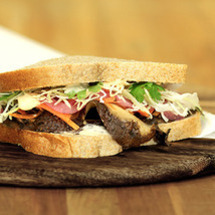 Make your meeting or gathering memorable with freshly made sandwiches on 100% whole wheat bread. Fresh avocado, smoked turkey breast, and crispy bacon with a bleu cheese spread. 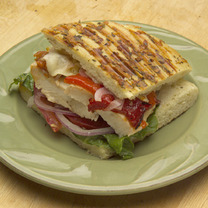 Provolone melted over a hot chicken breast with lettuce, tomato, red onion, and a basil pesto. Roasted Portobello mushrooms marinated in soy, sesame, ginger, and garlic topped with a sesame lime sriracha mayo, shaved cabbage, carrots, cilantro, and pickled red onions.